Many times We Panic when our Internet is down, So better you Plan about Things to Do while Internet Downtime. You are an Internet addict ? 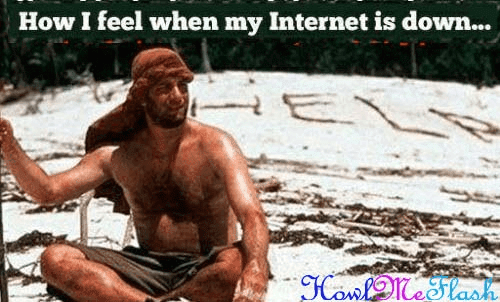 Then you might have a Hard time during Internet Downtime, So today i will list some Basic Tips On things to do when you are unable to access Internet. Remember When your Mom Use to say If you use Computer, even learn to Clean it Regularly And you just ignore it, Yes my Friend this is the Right time to Clean Your Keyboard, Mouse, CPU Case and other Peripherals you see Dirty. One of the Best Things to do while Internet Downtime. If you have already done above 3 things and still your internet is down then Spend Some Quality time With your Family Members, Most of the time We are on Internet and We Don't Spend Value time with Parents and Siblings, This Doesn't Mean you Ignore them when internet is up, after all They pay for your Internet J/K . This is the Best Thing to Do if your Internet is down, Internet Users Don't tend to Take a Walk out, Just Disconnect from your Online Life and Enjoy the Fresh Air Outside. Bonus Tip: While going for a Walk, Don't Forget to Take your laptop along , You may Stumble on an open WIFI network :p .